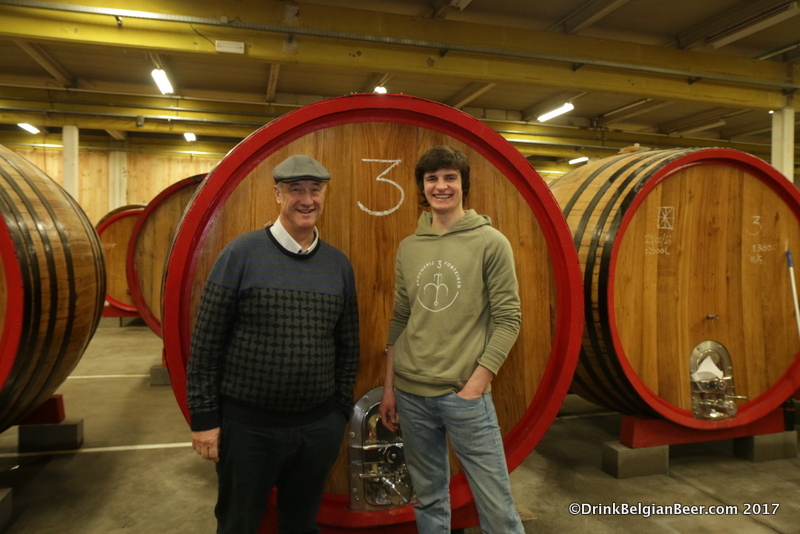 Armand Debelder (left) and Michaël Blancquaert of Brouwerij 3 Fonteinen, inside a lambik-o-droom barrel room in Lot. 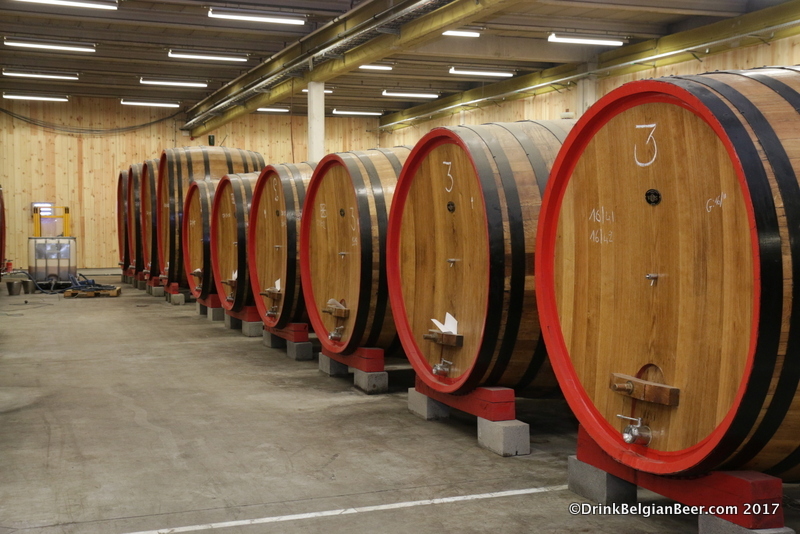 A row of foeders at 3 Fonteinen’s lambik-o-droom. 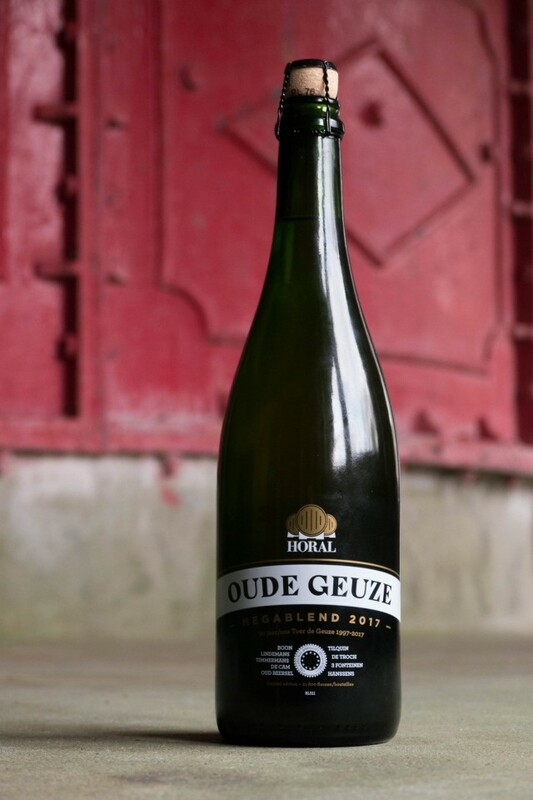 More from the brewery: “In a few weeks we’re at it again: the biennial lambic and geuze feast. 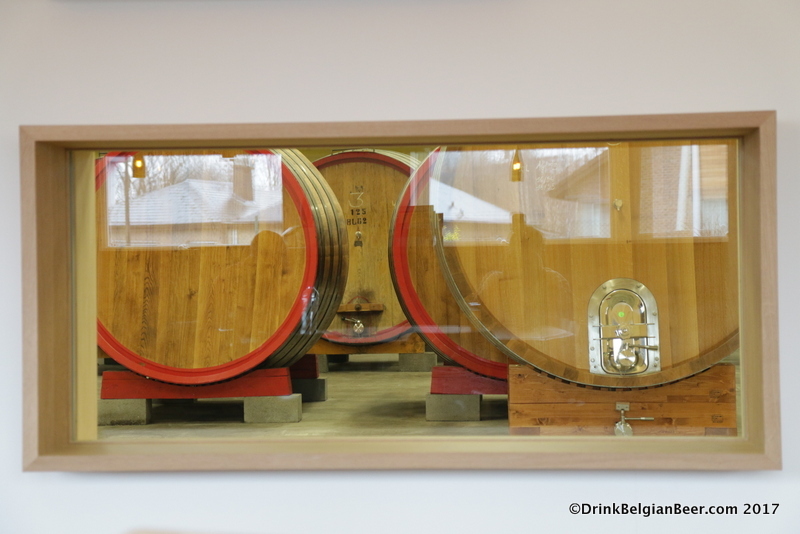 We look forward welcoming you at our newest location; the barrel room filled with oak and traditional lambic, the Schaarbeekse cherry tree field, etc. 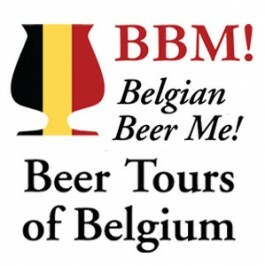 You will be able to enjoy our lambics and geuzes inside the lambik-O-droom as well as outside on the grass field under a (hopefully) lovely spring sunshine. 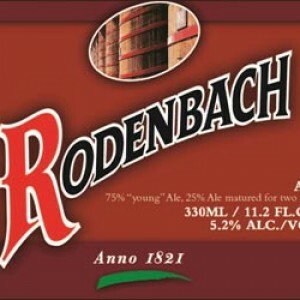 We will have tasty lambic cocktails served by Baroness, you can savour typical local produce such as Beersels white basket cheese, pottekeis, geuze cheese and geuze pâté, and ice cream with kriek lambic sauce. 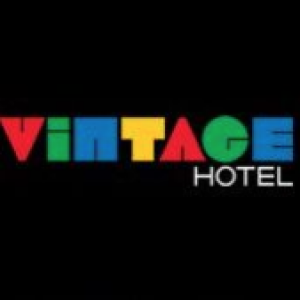 For the little ones, we will have a bouncy castle, and there will be folkloric music typical to the Pajottenland region. 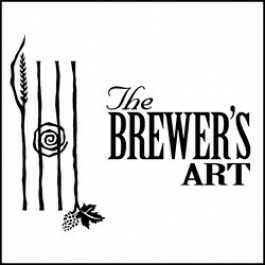 On Sunday there will be a demonstration by Gerda Legrand of bottle basket weaving. 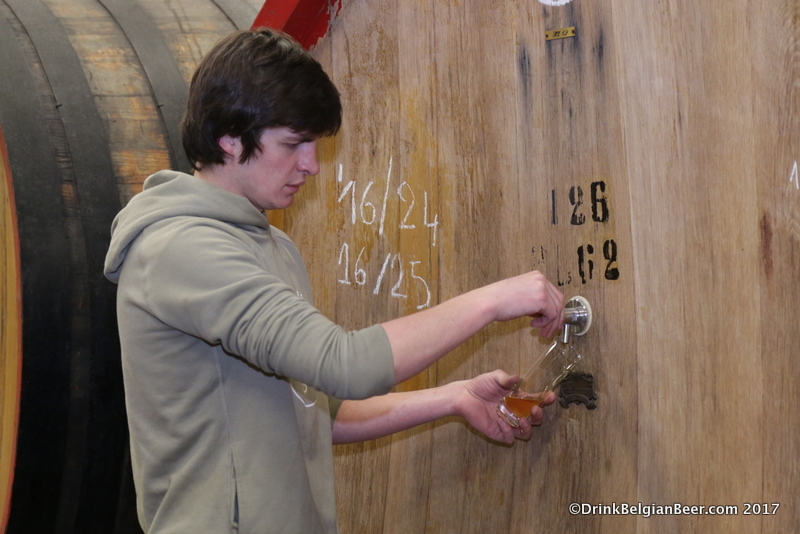 Michaël Blancquaert pulling a lambic from a barrel at 3 Fonteinen. 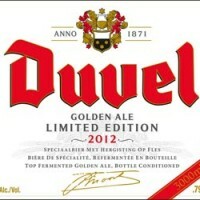 Michaël Blancquaert working filling foeders in February 2017. 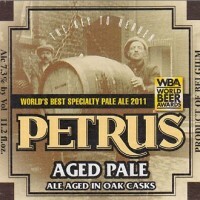 The brewery is located at Molenstraat 47 in the village of Lot, near Beersel. 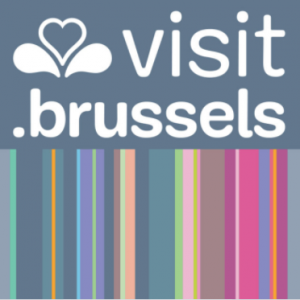 The lambik-o-droom will be open from 10 am to 5 pm from Wednesday to Friday, May 3 to 5, and from 11 am Saturday May 6 and 10 am Sunday, May 7. 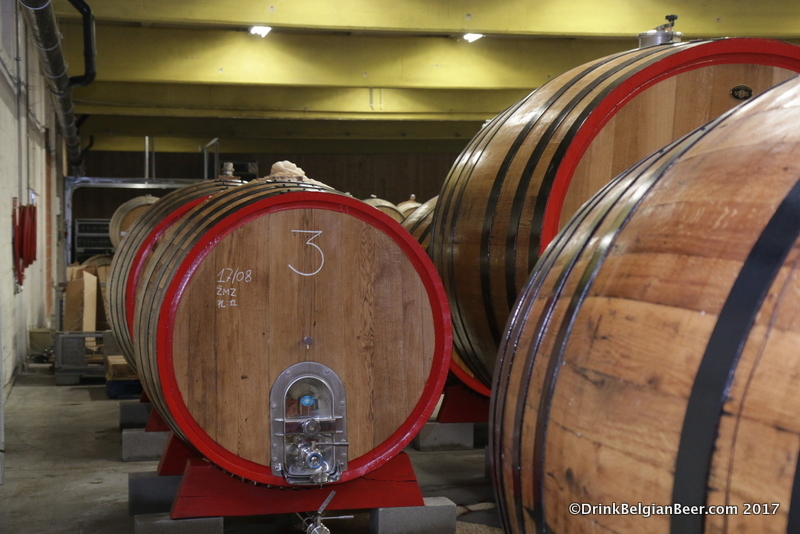 Active fermentation at 3 Fonteinen. 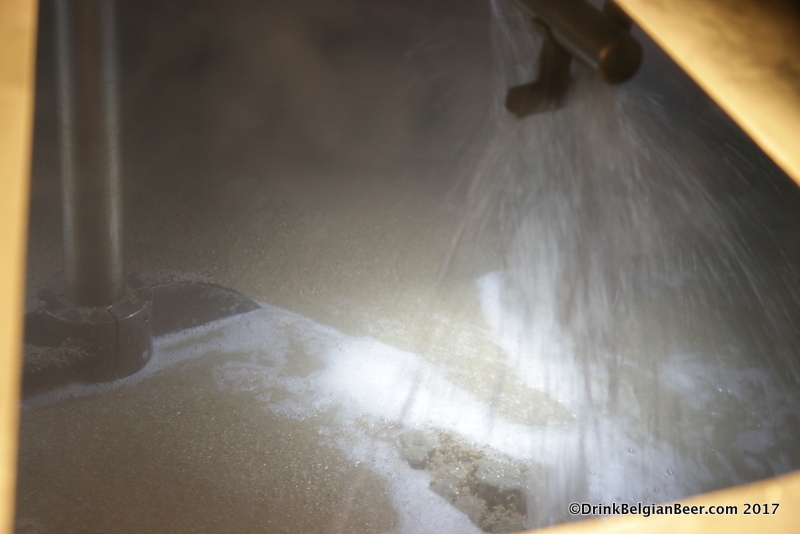 Inside the mash tun at Brouwerij 3 Fonteinen in Beersel. 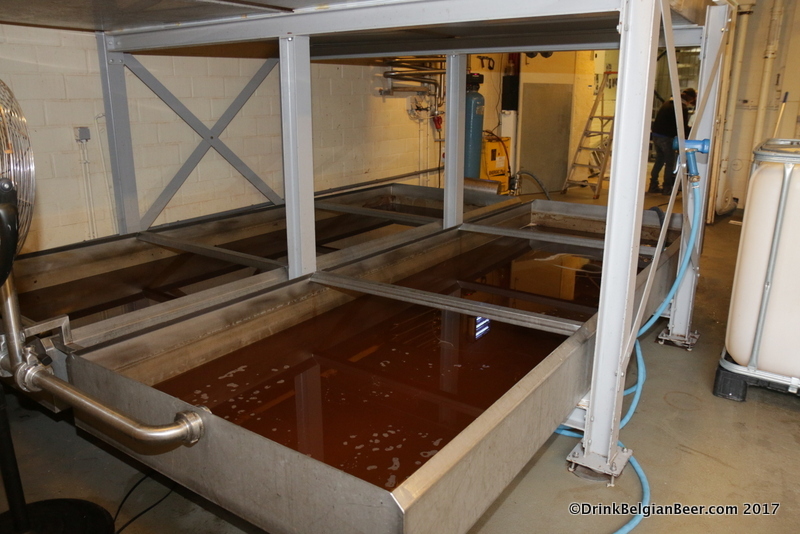 Double decker coolship full of cooled wort at 3 Fonteinen. 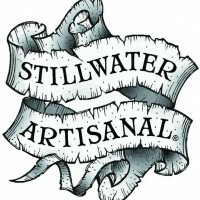 Another coolship shot at 3 Fonteinen. 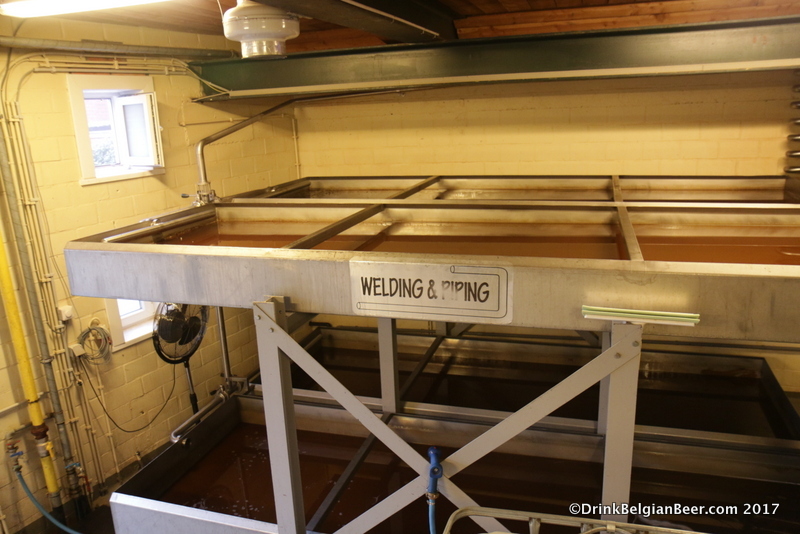 Wort being pumped out of the coolship at 3 Fonteinen. 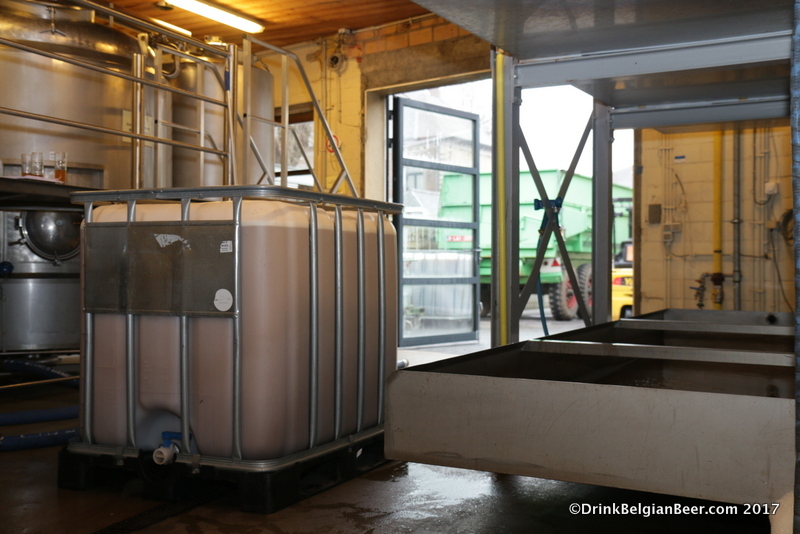 A container of cooled wort ready to be taken by truck from the brewery in Beersel to the new lambik-o-droom in Lot. 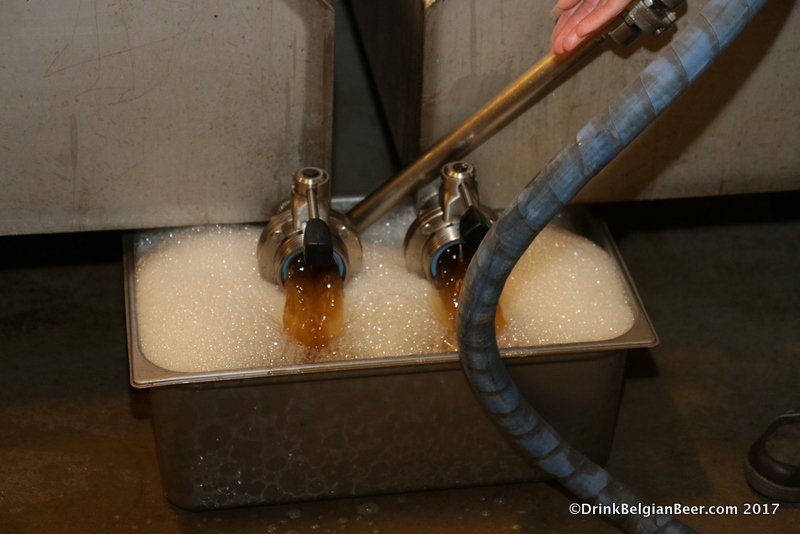 Hot wort being pumped into the coolship at 3 Fonteinen. 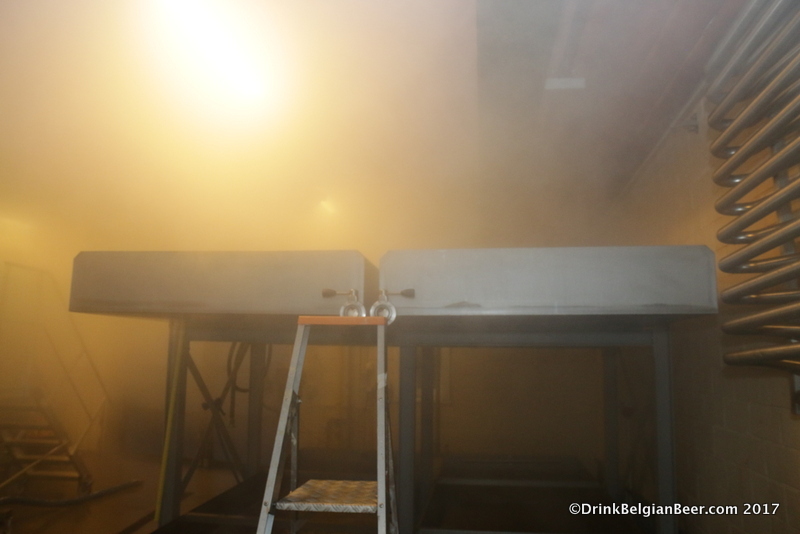 Steaming coolship at 3 Fonteinen. 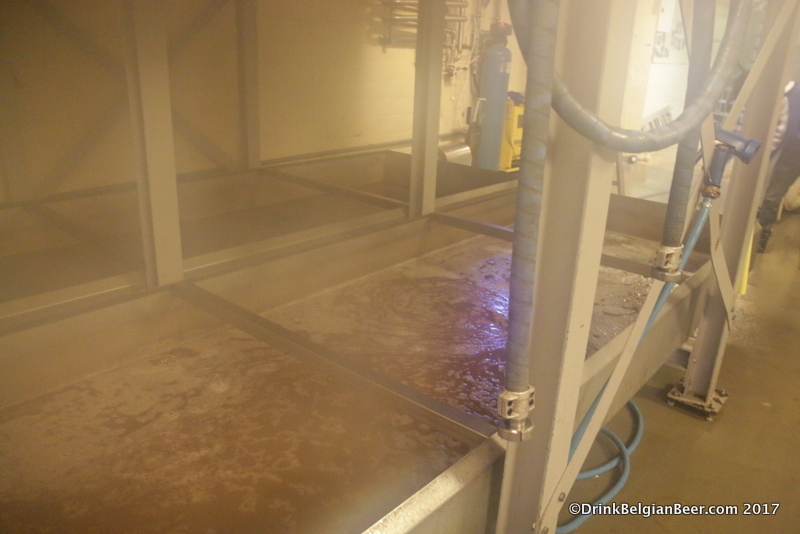 The steamed up brewhouse at 3 Fonteinen. 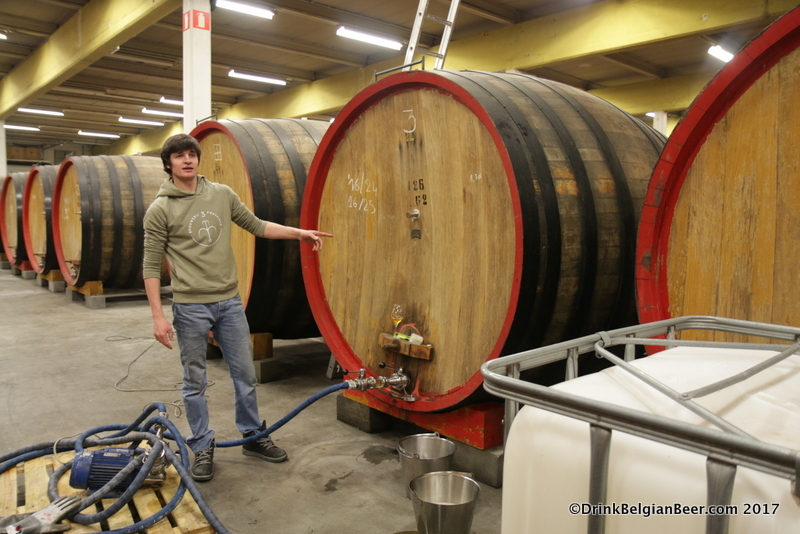 Diego Sachem in the brewhouse at 3 Fonteinen, February 2017. 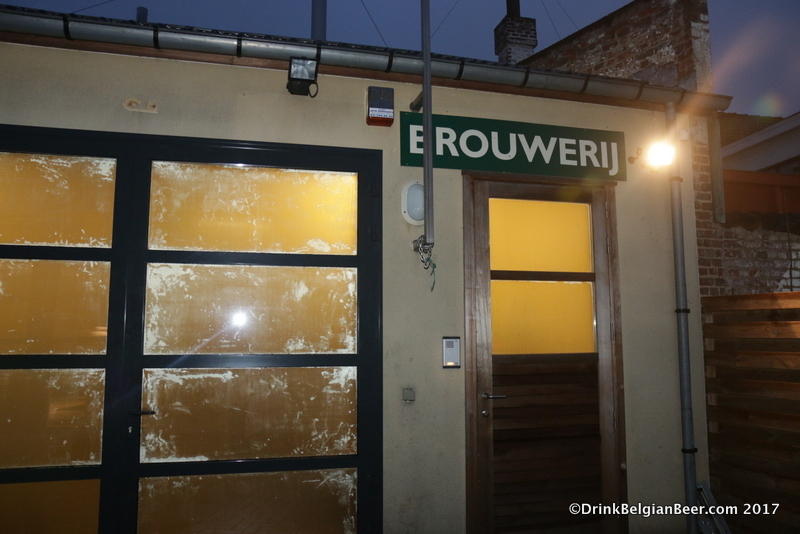 The steamy 3 Fonteinen brewhouse from the outside. 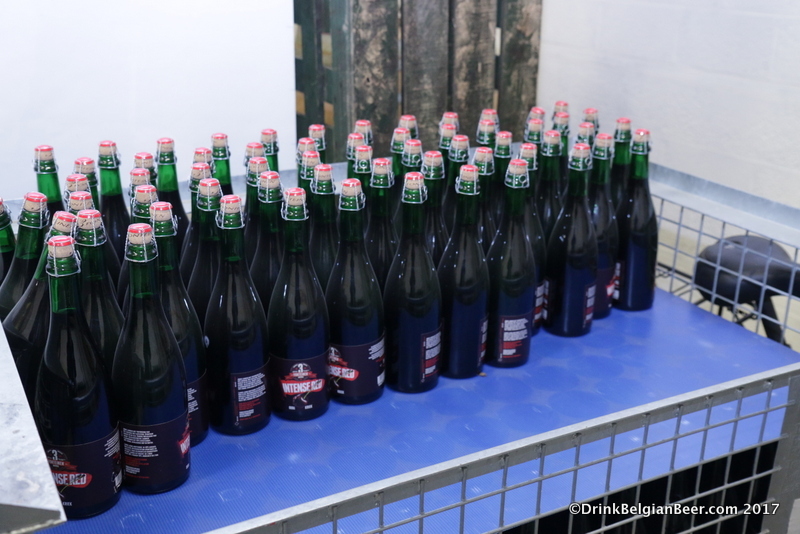 3 Fonteinen Intense Red inside the lambik-o-droom. 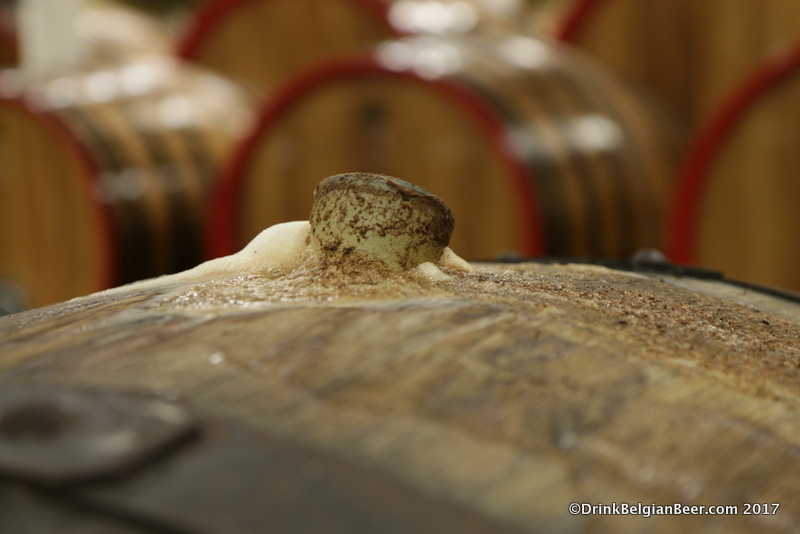 A smaller foeder in the new 3 Fonteinen site, undergoing an active fermentation. 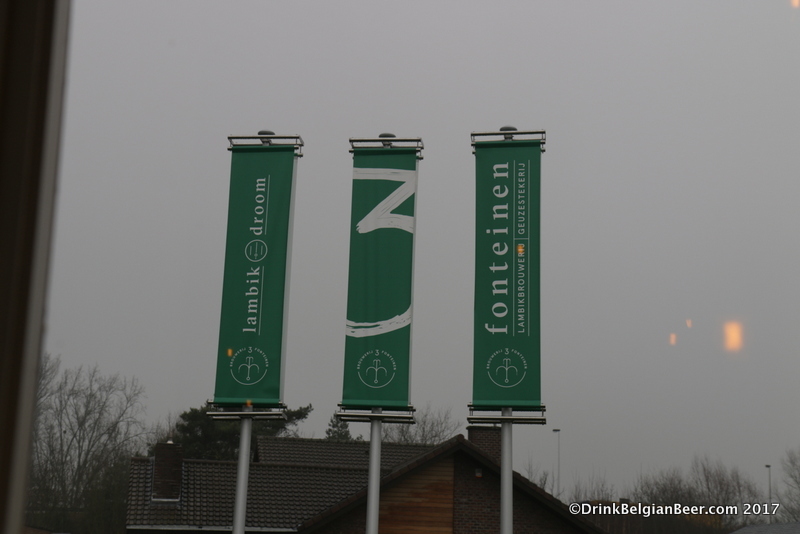 Another row of foeders at 3 Fonteinen. 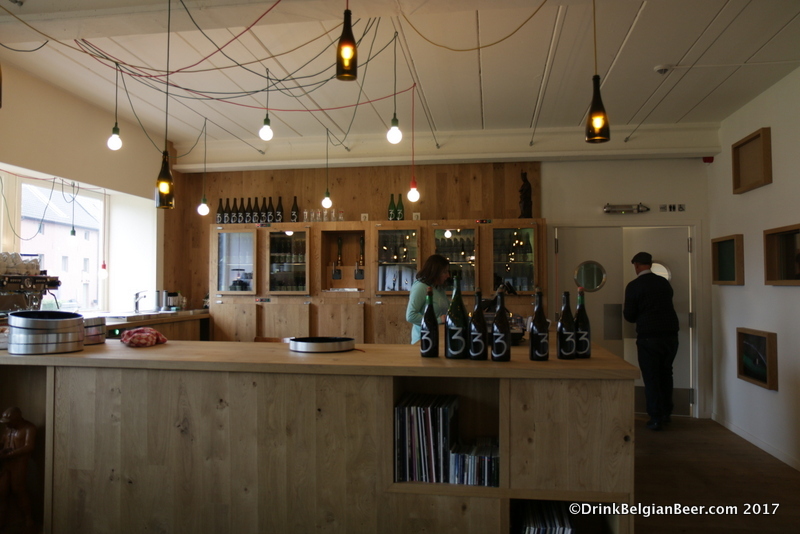 The bar in the cafe at lambik-o-droom. 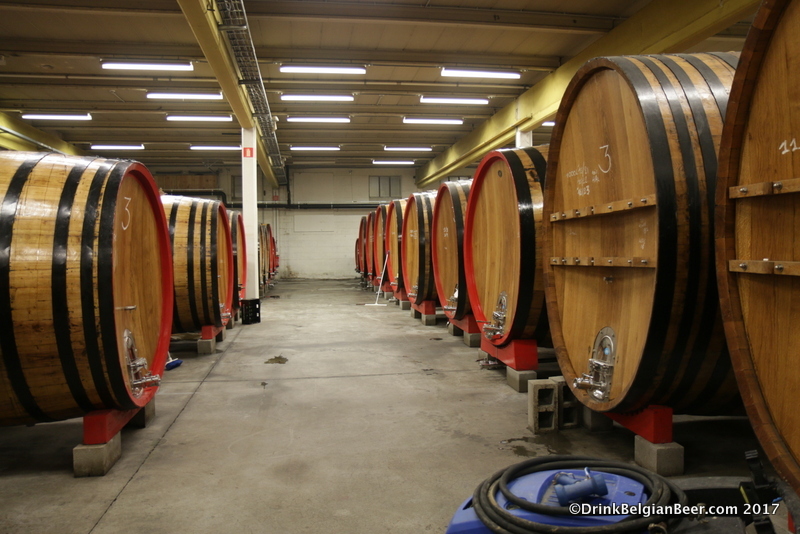 Barrels inside the lambic-o-droom as seen from the cafe. 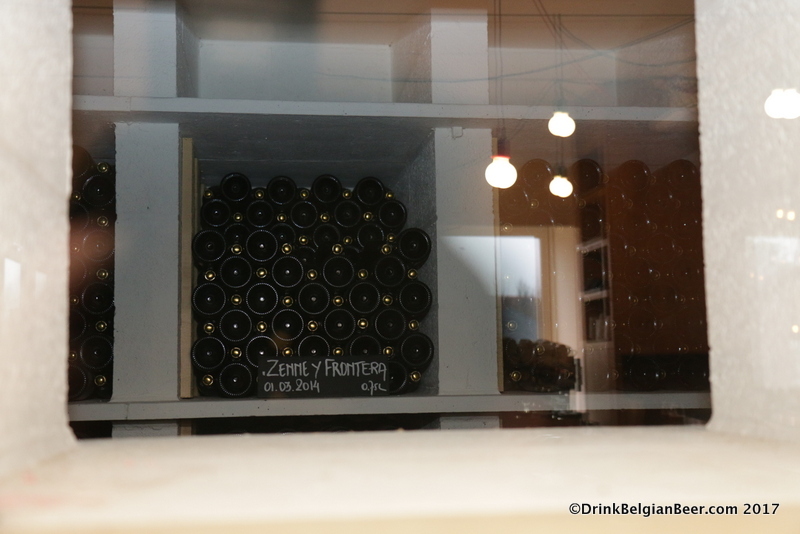 3 Fonteinen Zenne y Frontera in the cellar. 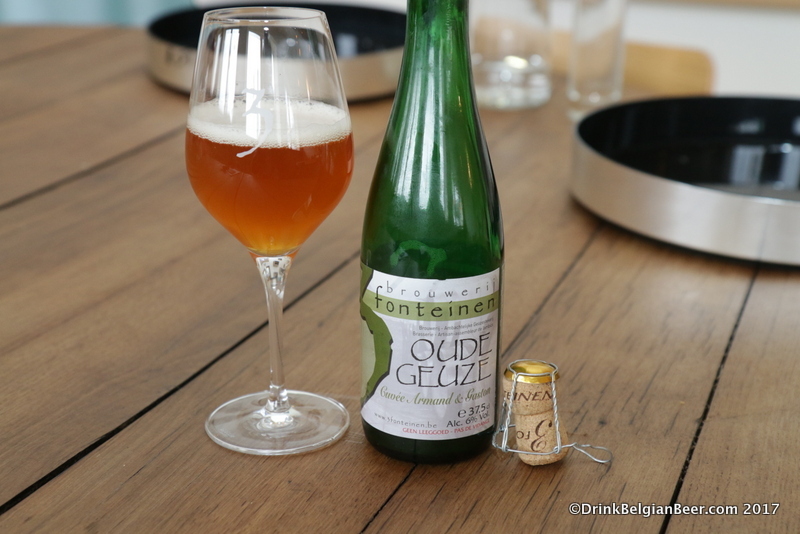 3 Fonteinen Oude Geuze Vintage. 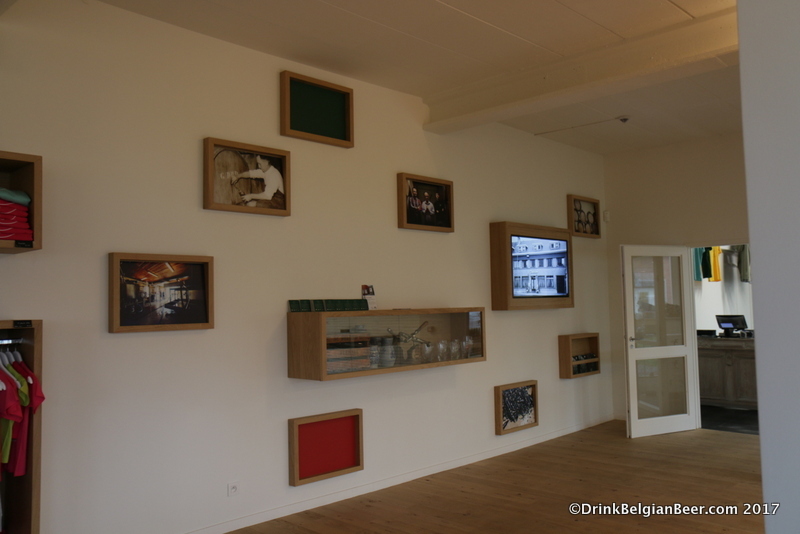 Inside the retail shop at lambik-o-droom. 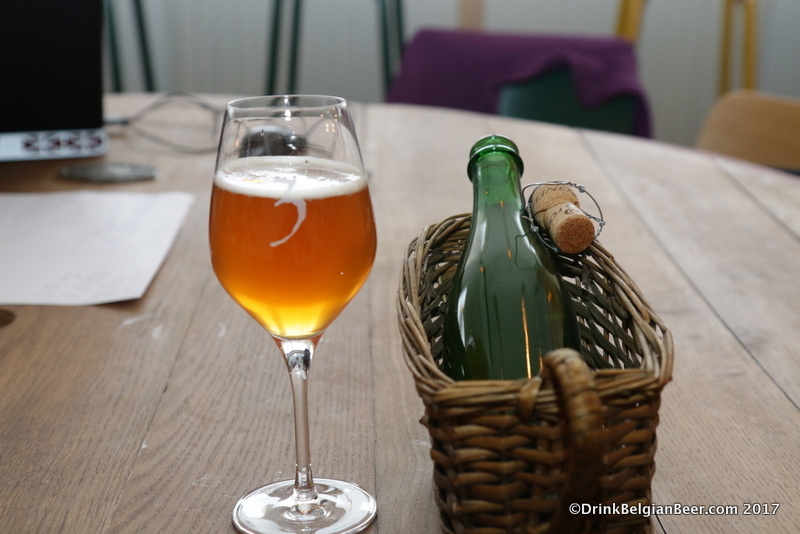 3 Fonteinen Cuvee Armand and Gaston.